A lot has happened in the city of Baltimore since the start of the month of March. Some of these are negative news, while some were a really great piece of news and information beneficial to several people and sectors in the city. Continue reading on below to know what happened in Baltimore. First on our list is not so good news about the current Baltimore school system’s preparation for a possible legal battle over funding. This news was written by Talia Richman in The Baltimore Sun. Read the article below to learn more. The Baltimore school system appears to be getting ready for a major legal battle. The school board approved a request Tuesday to amend its contract with the Whiteford, Taylor & Preston law firm, increasing the requested amount from $25,000 to $200,000. The new terms of the contract would include representing Baltimore City Public Schools in Bradford v. State of Maryland. The Bradford suit — filed in 1994 by the ACLU and still open in Baltimore Circuit Court — argues that the state is failing to provide the kind of education Baltimore’s children are entitled to under state law. A judge found that the state had not provided enough funds for schools, ruling in 2000 that the state should add about $2,600 more for each student. The ACLU and the NAACP Legal Defense Fund invoked the still-active case last month in a letter to Gov. Larry Hogan, in which they called on him to provide more funds for Baltimore schools. The two organizations say that by the state’s own estimates city students are getting $290 million less than what’s needed to provide them with an “adequate” education as required by the Maryland constitution. Advocates said they hope the governor will work with them to address the shortfall, but they plan to pursue the matter if he doesn’t. City schools spokeswoman Edie House-Foster said the district agrees with the assertions made in the Bradford case. While the school system is not a party in the lawsuit, it would be affected by any movement in the case. This is indeed tough times for Baltimore’s education system as they are preparing for serious legal battle for the needed funding. Also according to the news, the legal proceedings were in response to the accusations that the city of Baltimore is failing to provide the kind of education children in the city are entitled under the state law. Hopefully, both parties agree on a settlement where everyone, especially the children of Baltimore will benefit from school funding. 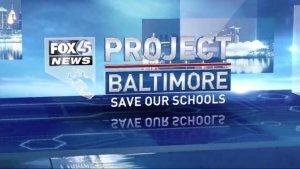 Next on the latest news is the rolling back of the school discipline guidelines by the Department of Education, and this news was confirmed by Project Baltimore. Chris Papst of Fox Baltimore wrote about these guidelines. Read below to learn more. School districts across the country now have more control over how they discipline students, which could lead to more transparency concerning school safety. Over the past year, Project Baltimore has heard from students, parents and teachers with stunning accounts of what’s happening inside our schools. We’ve heard time and time again that violence is out of control and schools are sweeping it under the rug to appear safer on paper. But that could soon change. “Now that that’s off the table, school districts can finally listen to parents and can change their policies,” says Max Eden from the Manhattan Institute, a conservative think tank. He says, for years, schools were motivated to downplay violence and avoid documenting it. Eden points to federal guidelines from 2014 when, then Secretary of Education Arne Duncan came to Baltimore to promote a new national initiative called the Promise Program. 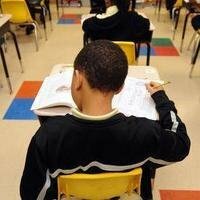 Data showed minority students were by far more likely to be suspended or expelled. Schools were put on notice to cut suspensions and other forms of discipline or risk losing federal funding. The move was celebrated as school discipline data quickly improved. This is a great move by the Department of Education, bringing back school discipline guidelines for the majority of the schools throughout the country. That way the younger generation and students will grow to have more disciplined and knows how to follow rules and regulations and to make them better persons in the future. Lastly in our news headline is the action of Baltimore Beat returning as a digital-only publication, looking at it as the future of journalism. Jack Tien-Dana of The Baltimore Magazine wrote an article about this development, so check it out below. There is a notion in the zeitgeist that the media is the enemy of the people, that journalists are hucksters, peddling lies from an ivory tower of deceit. If any of this is true (none of this is true), someone forgot to tell the soon-to-be revived Baltimore Beat. On March 6, exactly one year after its initial shuttering, the Beat will relaunch. 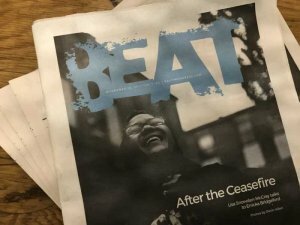 Founded in 2018 by Snowden-McCray and Brandon Soderberg, both former staff members of City Paper, the Beat functioned as a spiritual successor, of sorts, to the historic alt-weekly, which was shut down the year prior. Although it only lasted four months, the first Beat—the anacrusis, if you will—quickly established itself in the local media scene with its unique perspective. Tranforming into all-digital publication is somewhat nothing new in the information age, but still a refreshing approach especially in journalism. The Beat also foregoing office spaces as well as advertising revenue in the process. It’s only a matter of time until their subscribers will get used to this new approach. And there you have it, the latest news in Baltimore. To know more about Baltimore on a daily basis, visit us on https://www.dependablehomebuyers.com/maryland/baltimore.